The 2017 SEC Football Helmet Schedule is here and ready for you to download! A few months before September rolls around, your friends at SEC12.com make a terrific SEC Football Helmet Schedule for the upcoming season. 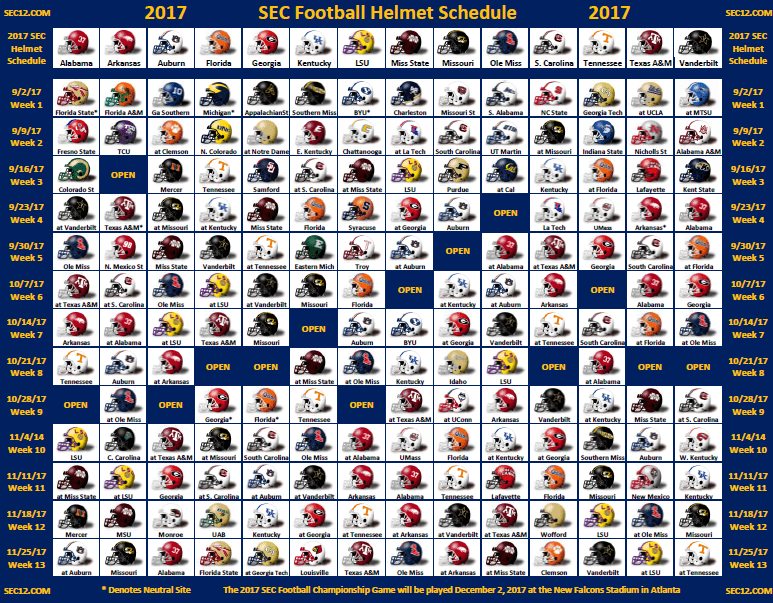 Our SEC Helmet Schedule features the helmets of each SEC football team and the helmets for each SEC team’s opponents for every week of the football season. View the 2017 SEC Football Helmet Schedule PDF file, here. You can also view our one page 2017 SEC Football Schedule Grid, here.